So why are the three boxed sets labelled as "the complete recordings"? They are "complete" in the sense that they include one VERSION of every cue from the start of the film to the last (mostly; FOTR is an exception where the CR set maintains tracking and editing from the final cut of the film instead of going back and pulling the original untouched recordings), its just that for a massive score like LOTR, MANY cues feature multiple versions recorded. Are the CR performances from the film or recorded for the albums. Or a mix of both. Nothing for LOTR was recorded specifically for album use that I'm aware of; Everything recorded was meant to be used in the film at the time it was recorded. It's just that as production went on, rewrites happened, alternate versions got recorded, etc. The CR largely presents the versions chosen for the final film, with the Rarities Archive and OSTs largely present the earlier versions that got replaced in the final film. 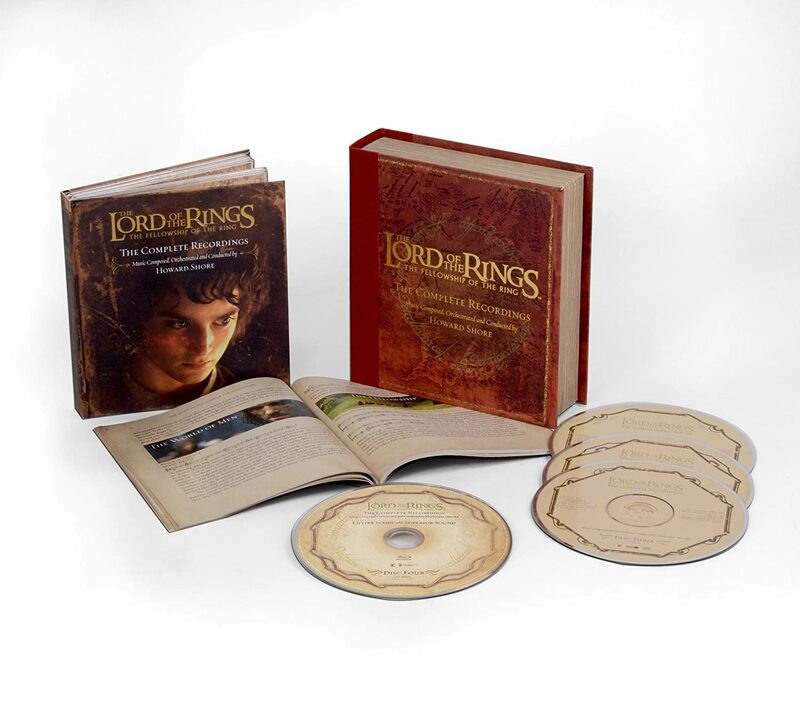 Of course LOTR was a unique case where after the theatrical cuts happened, PJ created the Extended Edition cuts, all of which had additional music written and recorded, some of which replaced all or portions of theatrical compositions. The CR sets include the EE compositions and inserts throughout, and you can find some of the earlier theatrical versions on the OST albums or Rarities Archive. Some theatrical versions still remain unreleased. Thanks for the information. Once last thing, what is the rarities archive you are referring to? Hard to believe, but for a coupla' years Howard Shore was as big as John williams. Hopefully they will re-release the other two sets throughout this year. I wouldn't say he was ever quite that big - he just had one hugely popular film series. Regardless, I don't think anything "happened." Shore lives in New York, he's generally done more serious films with directors like Martin Scorsese, Jonathan Demme, and David Cronenberg, and I don't know that his goal was ever to be the King of the Film Scorers. Plus, I would add, I truly believe Howard Shore's epic The Lord of the Rings music will go down in history as one of the greatest, if not, THE greatest, film scores ever written. Don't get me wrong, I think John Williams is the undisputed master composer of film scores when you look at his entire output. But no one, not even John Williams, has come close to the enormity of Shore's master work. It is one of the great achievements in film scoring. And if we are going to have a true discussion about Shore's contribution to film music, including such scores as Scanners, Videodrome, A History of Violence and Eastern Promises, then we can only come to the ineluctable conclusion that Shore sits among the ranks of Williams, Goldsmith, and Herrmann. LotR was an amazing scoring achievement, it’s quite true, but I haven’t ever been able to listen to much of the music away from the film. My loss. Not only the fan-credits contain music unreleased on CD (OST/CR/Rarities), but also the theatrical credits. The version of “Concerning Hobbits” in the fan credits is the original theatrical cue. The one heard on the OST is an alternate that doesn't contain a particular fiddle passage. image of the bluray set, which is of identical to the first release. I wonder if the bluray tray would be the same. It's kind of annoying. No sign of this on Amazon UK yet. Just the hideously overpriced marketplace copies. I had half hoped the packaging would be different - maybe jewel cases with the booklet in a slipcase. Just hope the bluray is held on with something better than that rubber nub. It looks like it. It seems to be missing the red ribbon that could be used to help with the contents. Just hope the bluray is held on with something better than that rubber nub. Exactly. That rubber nub made me scratch my DVDs. I hope they know better this time and just use a thins plastic transparent one. Would hope it’s different this time. There was enough complaints about it the first time around. Hopefully someone took notice. Amazon just emailed me that this release has been bumped for two weeks to mid-April. Serious films from the guy who worked on SNL from '75-'80. Who saw that one coming. From what I know, Shore was aware of the rubber nub issue. I'm guessing that it wasn't changed for the subsequent CRs to stay consistent with the design...or because it wasn't considered important by the Powers-That-Be. Not being a contrarian but the rubber nub was ok for me. However, I can understand others having an issue. The image seems to show the same package as the originals. I suspect the ribbon is tucked in on the inside? [Edit] I have had to go and superglue some of the box edges where they were less robust. Just a heads-up on that one.